Phil Gamblen y Guy Ben-Ary will be talking about their work as members of SymbioticA Research Lab as well as their solo projects, about MEART-The Semi Living Artist, and about their most recent projects, Mother and Living Screen. SymbioticA, The Art & Science Collaborative Research Lab, is a research laboratory dedicated to the artistic exploration of scientific knowledge in general, and biological technologies in particular. It is located in The School of Anatomy & Human Biology at The University of Western Australia. SymbioticA is the first research laboratory of its kind, in that it enables artists to engage in wet biology practices in a biological science department. MEART is an installation distributed between two (or more) locations in the world. Its “brain” consists of cultured nerve cells that grow and live in a neuro-engineering lab, in Georgia institute of Technology, Atlanta, USA (Dr. Steve Potter's lab). Its “body” is a robotic drawing arm that is capable of producing two-dimensional drawings. The “brain” and the “body” will communicate in real time with each other for the duration of the exhibition. - small work for robot and insects is an installation designed to illustrate the intersections and mutual mediation of technological and natural systems. 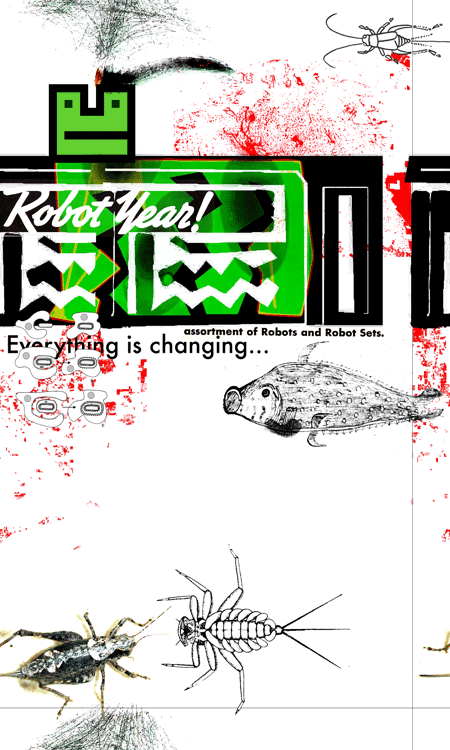 it stages the attempts by a robot to establish some kind of meaningful dialog with a colony of live crickets. - fish, plant, rack is an installation which allows the phenomenon of the electrical discharges of the virtually blind fish ‘gnathonemus petersi’ to instruct the actions of a robot whose task is to monitor the development of plants in a hydroponic system. Mónica Bello Bugallo, independent curator, will talk about her recent collaboration with these artists in the exhibition Organismos, esto es vida, in which six artworks showed ways to explore the aesthetic possibilities of living organisms, as well as the interaction between artistic and scientist creative methods.